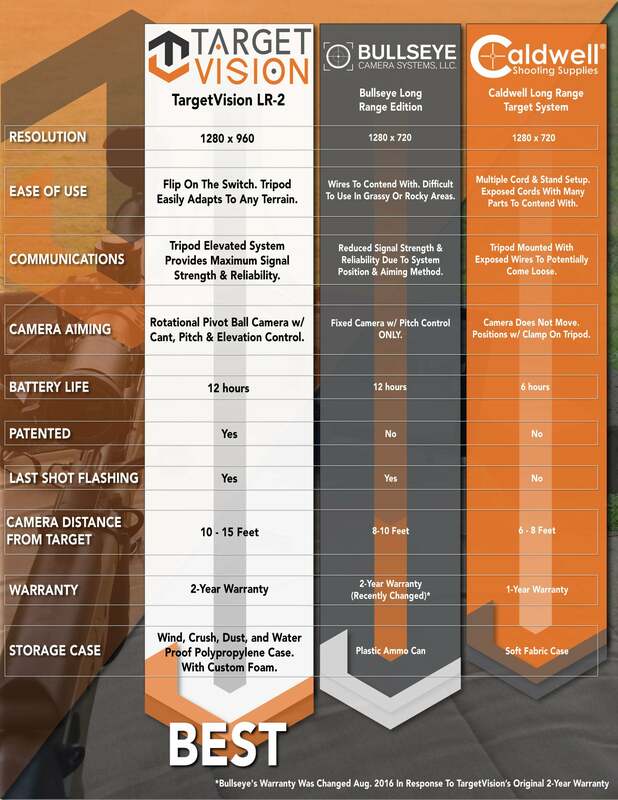 LONGSHOT'S wireless, portable, and battery powered target camera systems set up adjacent to your target and 10-15 ft back; the camera can be moved within that range to adjust the field of view. Since the Longshot Marksman is positioned down range by the target, you'll never have to worry about fighting mirage to see your shots again. With a runtime of 12+ hours, LONGSHOT cameras allow you to view the target remotely on your tablet or phone via an easy-to-use free app (track and number shot, save photos, review sessions, record video and stills). No cell or WiFi service is required. You'll have live HD video at your fingertips, making it easy to see where your shots are hitting. Seeing your shot has never been easier.